Boardman is a leading heavy steel plate fabricator for a variety of applications including petrochemical and marine. 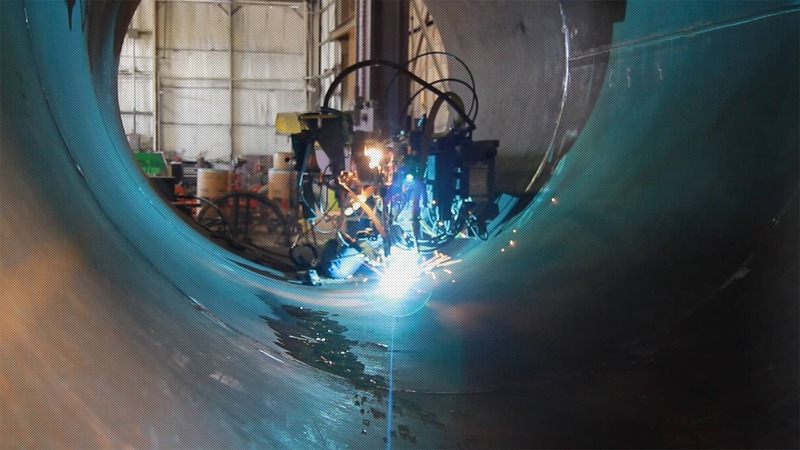 We fabricate steel plate using one of our four plate rolls to roll the plate into cylinders to fabricate pressure vessels, trayed towers, etc., or to bend and shear the plate to complete projects such as coke chutes or ducting. 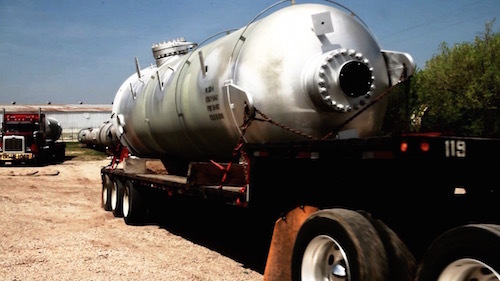 We have extensive experience with pressure vessel rolling and working with plate materials including carbon steel, stainless steel, clad material, nickel alloy, monel, Inconel and chrome moly. We also have experience with steel plate forming. FCAW (Flux Core): Flux Core is a hollow tubular wire filled with flux. In this welding process, the flux comes out of the center of the wire and covers the top of your weld with "slag". Slag is a protective cover that helps keep the impurities out of the weld. Flux core is commonly used for nozzle insertion welds, skirts, and/or supports clips and other attachments. Flux core is great for fillet welds. SMAW (Stick): This process requires someone to manually put the electrode into a stinger and is one of the oldest forms of welding. Strip Overlay: This is a SAW or ESW process. At Boardman, we can use 30 mm, 60 mm, 90 mm, or 120mm wide solid flat wire for the clad restoration or overlay process. Our fabrication capabilities are endless and can span across industries including oil & gas, gas processing, cryogenics, chemical, petrochemical, aerospace, power generation, emission control, and carbon black. We can fabricate almost anything that’s up to 4” thick and 350 tons. We provide the highest quality according to the QA/QC department and standards. Contact us today for your heavy plate fabrication needs.